If you are searching for a place to keep cool from the hot Texas sun, or just need to escape the hustle and bustle for an afternoon, then a visit to the movies might be just the thing you need. 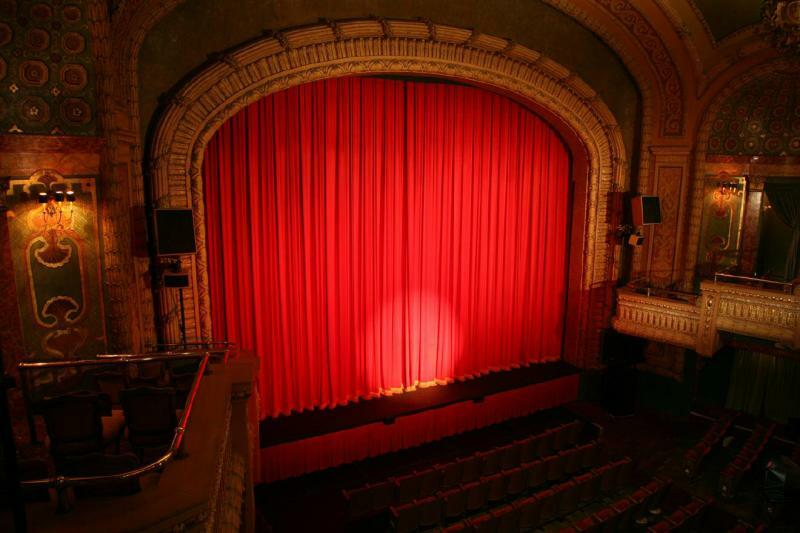 Want to find the best local theaters to catch a film in Austin? Check out our list of the top theaters in Austin, from indie and art house flicks to box office hits. Courtesy of Alamo Drafthouse Cinemas. 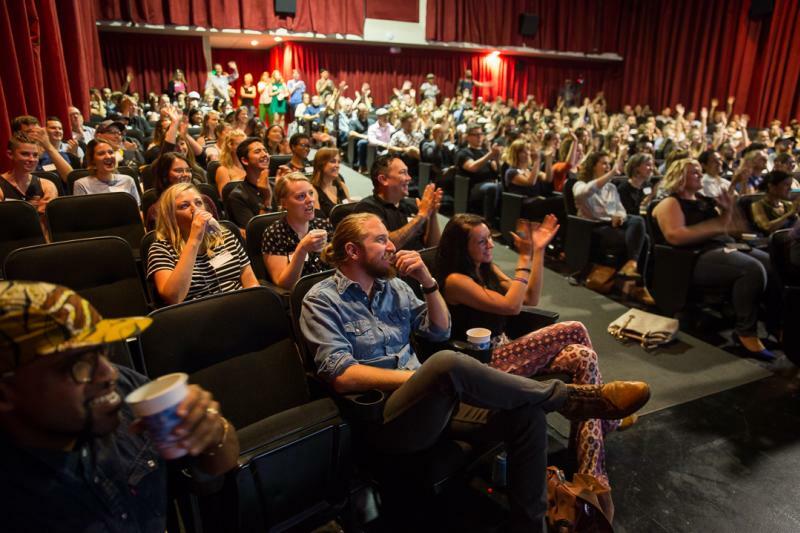 When people think of movies in Austin, they immediately think of Alamo Drafthouse Cinema. Founded in 1997, their Alamo Drafthouse Ritz location on Sixth Street in the heart of downtown is a staple for all things film. They have since expanded to six locations in Austin and 29 locations across America. Enjoy a cold, local beer and delicious meal in-theater, as an added bonus for your movie going pleasure. Drafthouse also hosts several special events such as the Quote Alongs, where viewers are encouraged to yell out their favorite lines during famous movies. Alamo Drafthouse has gained national attention for their superior movie going experiences, so come see what all the hype is about! Blue Starlite Mini Urban Drive-In is the place in Austin for nostalgic drive-in movies. This South Austin drive-in theater holds 30-50 cars per movie, so getting there early to get the best space is always a smart idea. Blue Starlite features a wide range of movies, including classics, art house and cult films, kid-friendly flicks and blockbusters. Tune in to the audio in your car using FM radio, or open up the windows and listen along through the exterior speakers. Bring your own snacks or buy a s’mores kit at the concession stand and enjoy a movie-going experience like no other in Austin. The Bullock Texas State History Museum IMAX Theatre. Courtesy of the Bullock Museum. Located just steps from the University of Texas campus lies the Bullock IMAX® and Texas Spirit Theater. 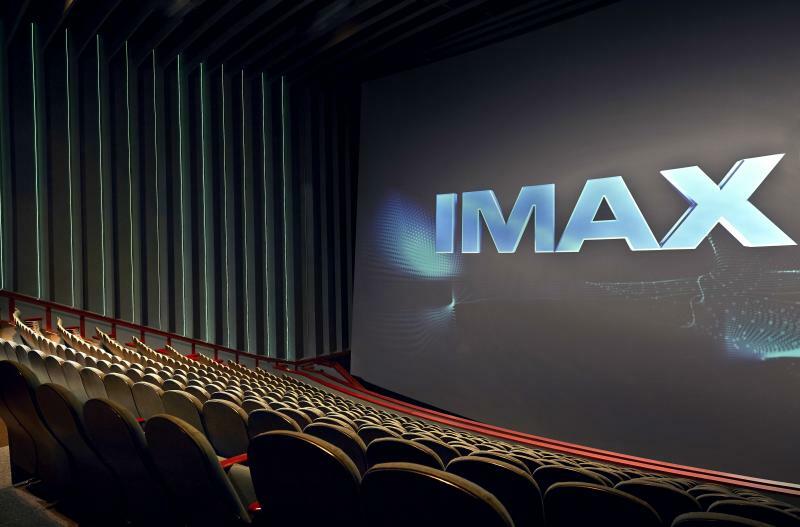 The Bullock Museum offers the only IMAX® with Laser film experience in Texas, and the six-story wide by 84-foot tall screen is the biggest in the state. The Bullock offers several unique film series for visitors, including the Texas Focus series which showcases the history and culture of Texas film making. The theater also screens international films, major blockbusters and IMAX documentaries. Proceeds from the tickets go towards educational programming at the museum, so when you go to the movies at the Bullock, you&apos;re going for a good cause! Sky Cinemas, the brand new movie theater in Dripping Springs, is upgrading the Hill Country movie going experience with a uniquely local twist. 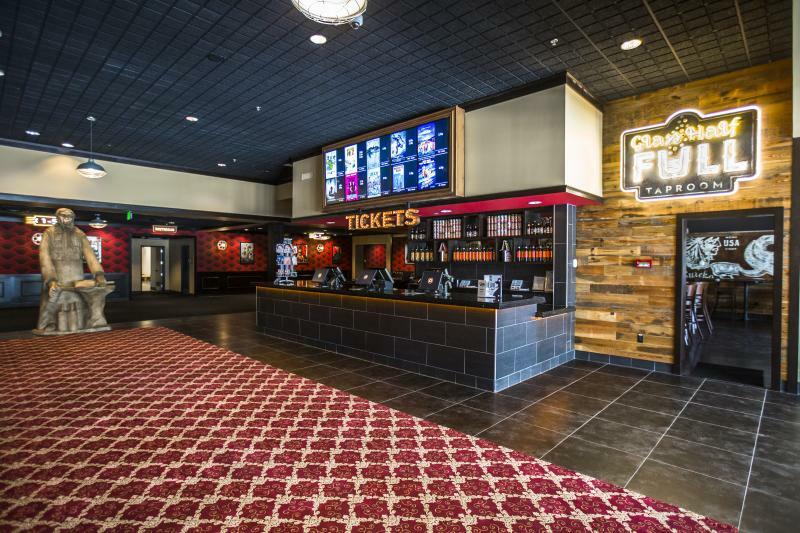 The locally owned and operated theater features the latest innovations in the industry, including 14 screens with surround sound and luxury extra-wide recliners, a made-to-order food menu, a large variety of films and showtimes, 24 rotating taps of craft beer and more. Sky Cinemas is one of the biggest theaters around Austin, and is a great place for families and visitors to the southwest Austin and Dripping Springs area. Courtesy of Violet Crown Cinema. 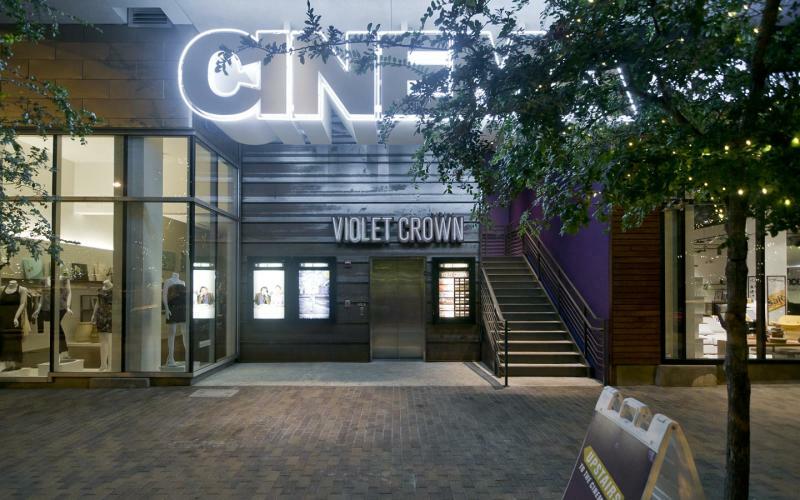 Violet Crown Cinema is another well known venue for movies in Austin. Located in the heart of the 2nd Street District, this independent theater is as close to the beautiful waters of Lady Bird Lake as it is to the nightlife offerings on Sixth Street. Violet Crown screens the best independent and international films, as well as documentaries and more. Insider the restaurant, favorite offerings include the house Crown Fries with black truffle salt, wagyu beef hot dogs and the Antonelli&apos;s cheese plates. Don’t forget to grab one of their signature cocktails! If you desire a more high end movie outing, look no further than iPic Theaters. Located at The Domain shopping area in North Austin, this plush theater is known for having top notch service and some of the most comfortable recliners in Austin. Premium level guests can bring their food from the lounge into the theater and eat on the convenient swivel tables, while Premium-Plus guests enjoy complimentary popcorn, pillows, blankets and personal servers. Food options range from fish tacos and lobster rolls to signature pizzas and desserts. This theater is the ideal spot for date night and is definitely worth a visit. The most historic theater in Austin, The Paramount Theatre on Seventh and Congress has been bringing people together through the magic of movies since 1915. Since its opening, the Paramount has hosted a wide variety of entertainment events such as vaudeville, musicals and motion pictures. Take in the beautiful architecture during your visit to this venue which is registered on the National Register of Historic Places. Not only do they show movies, but visitors can also see live music, stand up comedy, and much more. Keep an eye out for the annual Paramount Summer Classic Film Series, which highlights some of the most classic films of all time. Embrace local culture and enjoy a movie at the Community Cinema&apos;s outdoor amphitheater. One of the most unique theaters in Austin, this outdoor movie venue hosts free screenings year round. The amphitheater is in the heart of the Community First! Village, a 27-acre development that provides housing and support to disabled and chronically homeless citizens in Central Texas. The spacious amphitheater is a great place to enjoy a movie on a warm Texas night. Concession sales and tips provide income to residents of the Community First! Village so supporting a great cause has never been easier. The AFS Cinema in Central Austin is the Austin Film Society&apos;s new art house theater. Fresh off renovations in 2017, AFS Cinema boasts two screens, a bar and cafe, and a 5,000-square foot rental hall available for patrons to use for private screenings, conferences, parties and more. If you are interested in seeing the best independent films available, AFS Cinema is the place for you, and many scheduled film programs feature introductions and lectures from filmmakers. Enjoy a selection of local beers, signature cocktails, Stumptown coffee and snacks ranging from beer brats to Greek salads. Find showtimes and ticket pricing on each theater&apos;s website and explore more about the Austin film scene on the Austin Insider Blog!